Steal all the stares this festival season in this killer crop top. 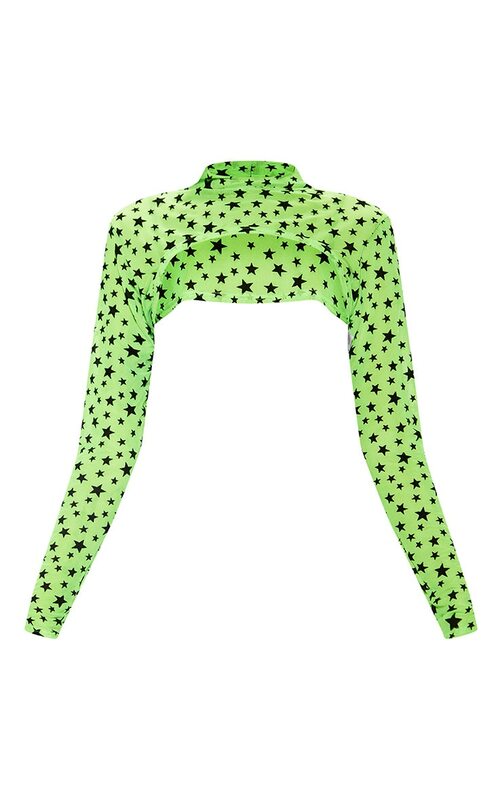 Featuring a neon lime mesh material with a black star pattern, long sleeves and an extreme cropped length, we are obsessed. Style over a black bralet, vinyl shorts and lace up boots for the perfect festival look.